Additional Description: This 1878 map shows Fredericksburg's two canals as well as the Falmouth Canal. The canal across the lower part of the map had been built in the 1830s as a navigation canal. A dam built in 1854, just upstream of the island, had converted it to raceway. 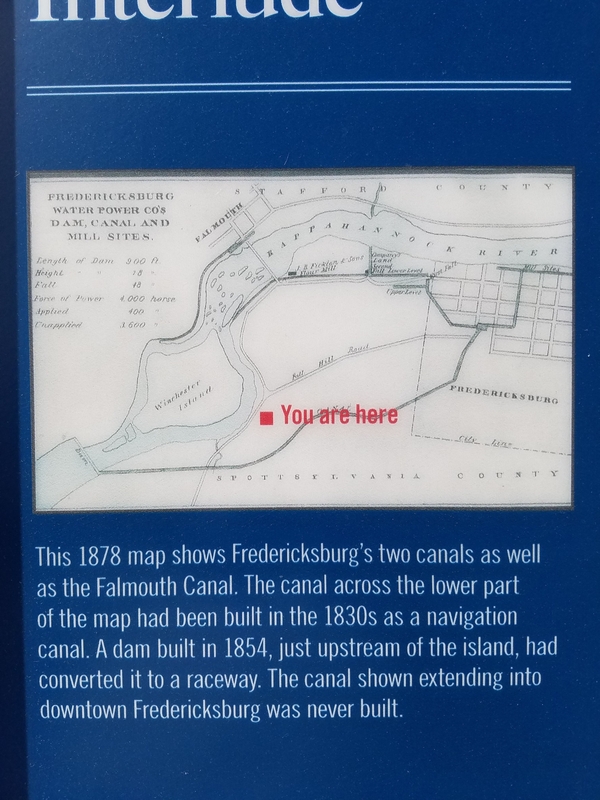 The canal shown extending into downtown Fredericksburg was never built. Submitted: May 19, 2017, by Kevin W. of Stafford, Virginia.